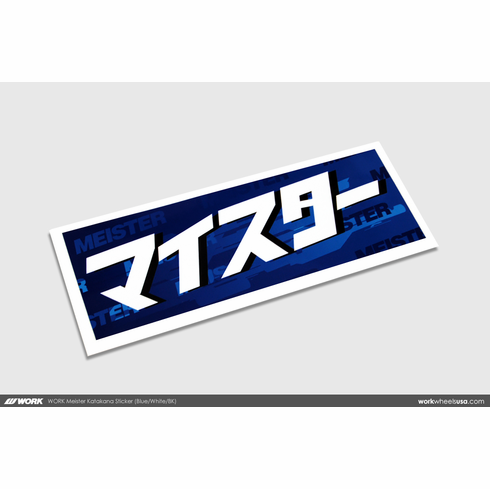 Authentic WORK Wheels stickers direct from WORK Wheels Japan! Perfect for your windshield or any other place you want to represent WORK! White border shown is removable sticker backing, sticker is rectangular. Note: please note that we do not recommend applying stickers to painted surfaces, as it may damage paint upon removal. © 2018 Copyright WORK Wheels USA. All rights reserved.